A warm welcome for the 2018/19 season which starts on Sunday 2nd September 2018 with registration for new and returning members in our Clubhouse/Training Grounds at Ballycorus Road, Kilternan, Dublin 18, at 10am. Our aim is to provide a safe, non competitive, enjoyable environment through activities which ensure progressive skill development for all participants in line with the IRFU Long Term Development (LTPD) pathway, Child Welfare Policy and Traditions of Rugby Union. You can visit www.irishrugby.ie to view these policies to which Old Wesley RFC adhere to. All our Coaches and Volunteers are Garda Vetted and have age appropriate accreditation of coaching skills. We are currently running teams from U6’s (Born 2012) up to U17’s (Born 2001). We offer a 2 week trial period for new members after which registration must be completed. This is done by completion of a Registration Form where your details will be forwarded to the office. We operate a Smartclub membership system whereby you will receive an email regarding the set-up of your member’s account and payment of the registration fee online. To comply with insurance and Leinster Branch requirements, all players are required to play within their designated age grade. This is determined by their year of birth (e.g. Born in 2013 – calendar year 1st January – eligible to play at U6’s for this season 2017/18). All registered mini and youth players who have their yearly subscriptions paid, are covered by the IRFU Group Scheme for Clubs. This insurance policy covers major incidents and is limited in its cover. There is €100 policy excess. It is recommended that parents have addition private health insurance in place to cover their children. Wearing of a gum shield is mandatory when training and playing in matches. Boots with moulded blades are not allowed. This is due to the ‘slicing’ injuries which have occurred from these types of studs. All boots must have traditional screw-in and / or moulded studs. 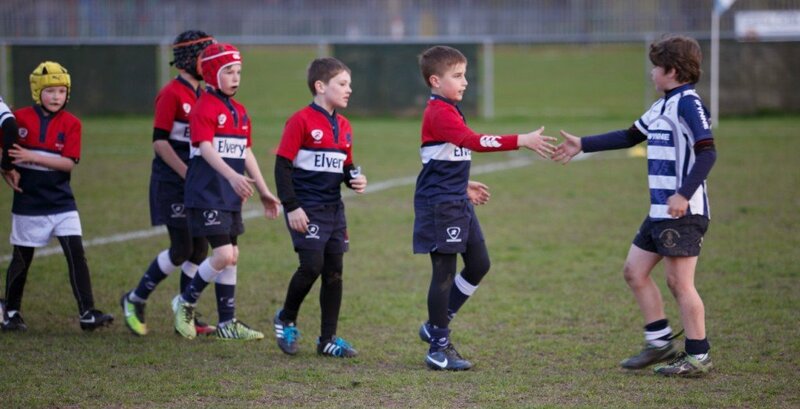 We encourage parents to get involved with their child’s team be it at the coaching end (no previous playing experience is required as everyone will complete an age appropriate Coaching course run by the Leinster Branch), sidelines, manager, social etc. It helps team bonding if the parents get to know one another. This helps to foster and develop our young players, both boys and girls, in the game of rugby and to feel that Old Wesley is their club for life. Training is every Sunday morning during the playing season which runs from beginning of September to the start of May – in either Ballycorus or Donnybrook. There will be a break from training/fixtures at Christmas, Mid-term school breaks and Easter. 11.30am to 12.30pm – For Teams from Under 13 upwards. There is mid-week training, usually either Wednesday or Thursday from 7 – 8pm for U10’s, U11’s, U12’s, U13’s in Ballycorus. Parents and players should check with their coach regarding this as it is at the discretion of the Coach. Matches are played either at home or away according to Fixtures and details will be sent to each parent. Details of Training times and venue are sent by non reply text message. Each coach may have their own additional method of communication with their team. Our Club strip is navy playing shorts, blue socks and a red/navy/white playing jersey. These can be purchased any Sunday in Ballycorus.